There are many cases where people want to avoid meats for their own particular reasons. These include people who want to lose weight. Fortunately, the Diet-to-Go weight loss system has a plan that allows people who want to use vegetarian meals to lose weight. The Vegetarian program is made with several different foods that are enjoyable and easy to use. What Foods are in the Vegetarian Menu? The foods used in the Diet-to-Go plan are made to make it easier for anyone to eat more foods during the diet. The variety of products in the Diet-to-Go Vegetarian plan makes it easier for people to stick with the diet without worrying about issues involving repetition in the diet. • The breakfast foods include omelets, waffles and broccoli pies. These are all designed with plenty of ingredients used to support the body’s need for protein without including meats in them. 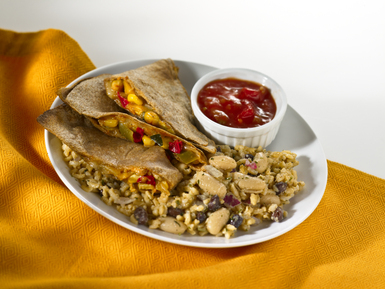 • Many lunch options include a Tuscan bean salad, a vegetable quesadilla and even a veggie burrito. These are arranged with a number of sides like rice to create something enjoyable and filling for the body. 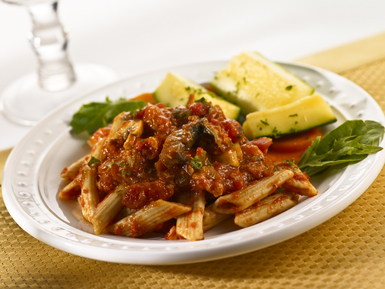 • Dinner products include a few options like ravioli provencale, spaghetti pie, soy creole and penne pasta. These are foods arranged with things ranging from pasta to vegetables on the side. These are enjoyable things that are attractive and filling for anyone to use in a diet. Many of these foods can be combined with a series of easy to Diet-to-Go made drinks. These include yogurt smoothies for lunch, apple juice for breakfast and even a vegetable-based drink at dinner. Like with all of the other meal plans from Diet-to-Go, the foods are arranged with a series of safe and healthy ingredients. They are also made to be fresh. What’s more exciting about these foods is that they can be substituted as needed based on any food allergies a customer might have. This is done to keep the user comfortable and capable of handling foods the right way without risking any problems coming from trying to consume the foods well. These are all arranged in different plans based on what men and women need. Women can use the 1200 plan that uses 1,200 calories while men can use the 1600 plan with 1,600 calories. This is useful but women who do need to lose at least fifty pounds are better off using the 1600 plan because they have more calories to work with for weight loss purposes. • The foods are always prepared in the Diet-to-Go kitchens with real ingredients. There are hardly any preservatives used here. • All of the foods are prepared with the side items arranged to go alongside the meals that they are intended to go along with, thus making the foods easier to enjoy without having to sort foods out. • The foods are always delivered in a non-frozen manner. A customer will not have to rush quickly to pick up the foods at a home or office and then throw them into a freezer right away. • All items are sealed to protect the ingredients while also making sure their flavors are retained the right way. It should not be complicated to get these meals prepared. They simply need to be heated according to the instructions that come with each meal. The fact that each meal can be handled without any bothersome procedures involving freezing meals could also help. • The first five day plan with lunch and dinner is only $79.99. It then moves to $95.99 for a woman’s plan or $102.99 for a man’s plan after that. This is a useful deal for those who at least want to try to plan out to see if it’s right for their needs. • It does not cost all that much to get breakfasts added to the five day play. It will cost $112.99 for women or $123.99 for men for this plan when breakfast is included. • Seven day plans are also available. A plan with breakfast, lunch and dinner is $142.99 for women and $159.59 for men. • People can use special coupons at varying times in the year for additional deals. These include deals where customers can get $30 off of orders of $125 or more and deals worth 25% off of orders of $75 or more. These deals are very useful but what makes them even better is that they work without any long-term contracts. These annoying contracts are often created by some diet plan providers and can force people into deals they don’t want to get into. The Diet-to-Go Vegetarian plan works with a pay-as-you-go plan instead. This allows customers to use the plan for as long as needed. It’s also useful for those who want to try it out to see if they like it. Of course, the foods that are offered here and the simplicity of the plan often make it so it will be easier for people to have an interest in using this diet plan for a longer period of time. The foods that are handled in the Diet-to-Go Vegetarian plan are great foods that are easy for anyone to consume. They work with the best possible ingredients and come with plenty of varieties for people to enjoy. These should be used well when looking to find ways to lose weight without any issues.